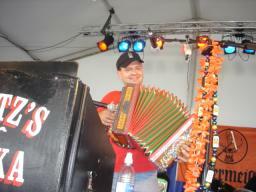 Fritz tears through a tune on the button-box accordion toward the end of FPB's third set on August 27th at the New York State Fair in Syracuse, NY. 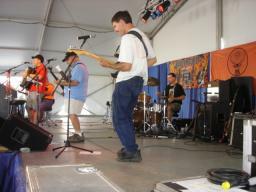 A side profile of FPB in action during their third set at the New York State Fair on August 27th. 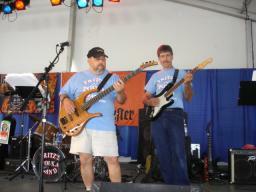 Fred, Rick and Fritz are shown here during FPB's third set on August 27, 2007. 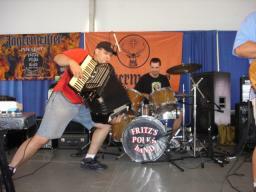 The Fritzafraniac, The Retro Rocker, and The Lightning Bolt rip through a tune during FPB's third set on August 27th. 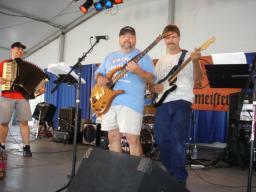 The Fritzafraniac and The Tachihara Prince are pictured here cranking out a tune on August 27, 2007, during FPB's third set at the New York State Fair. 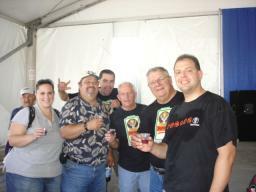 As FPB Fan Club Member, Elwyn Kessler looks on, Rick, Tom, Fred and Fritz tip some Jager punch with their friends Maureen and Al, after FPB's second set on August 27th in Syracuse, NY. 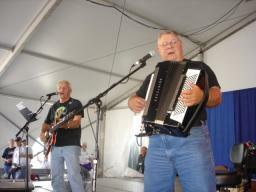 Tom and Fred are shown in action during FPB's second set at the New York State Fair on August 27th. 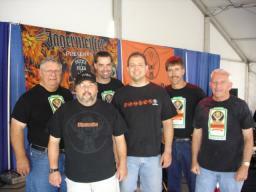 The guys in FPB pose for a group photo prior to their second set on August 27th in Syracuse, NY. 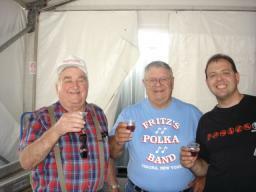 As Fred looks on, Fritz and Rick pose with a couple of New York State's finest, Ron and Charlie, during FPB's gig at the New York State Fair on August 27th. 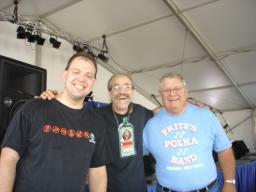 Fritz and Fred pose with Jack, who ran sound for FPB at the New York State Fair on August 27, 2007. 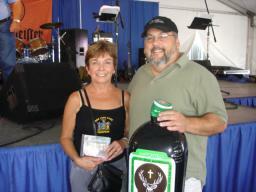 Fred and Fritz tip some Jager punch with their good friend, John, while at the New York State Fair on August 27th. 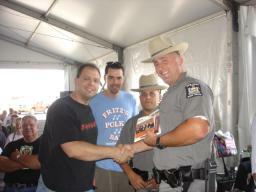 Gabe poses with a new FPB fan after FPB's first set at the New York State Fair on August 27, 2007. 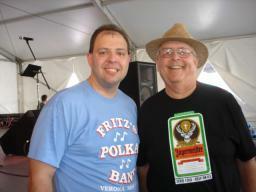 Fritz and FPB Fan Club Member, Jay Wilcox, pose for a photo after FPB's first set on August 27th. 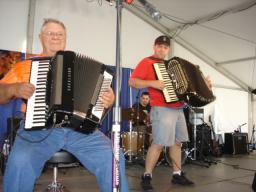 Gabe and Frank are pictured here cranking out a tune during FPB's first set on August 27th in Syracuse, NY. 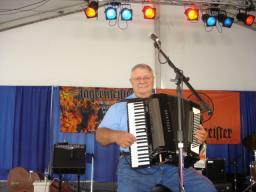 Fred is shown here during FPB's first set at the New York State Fair on August 27, 2007 in Syracuse, NY.